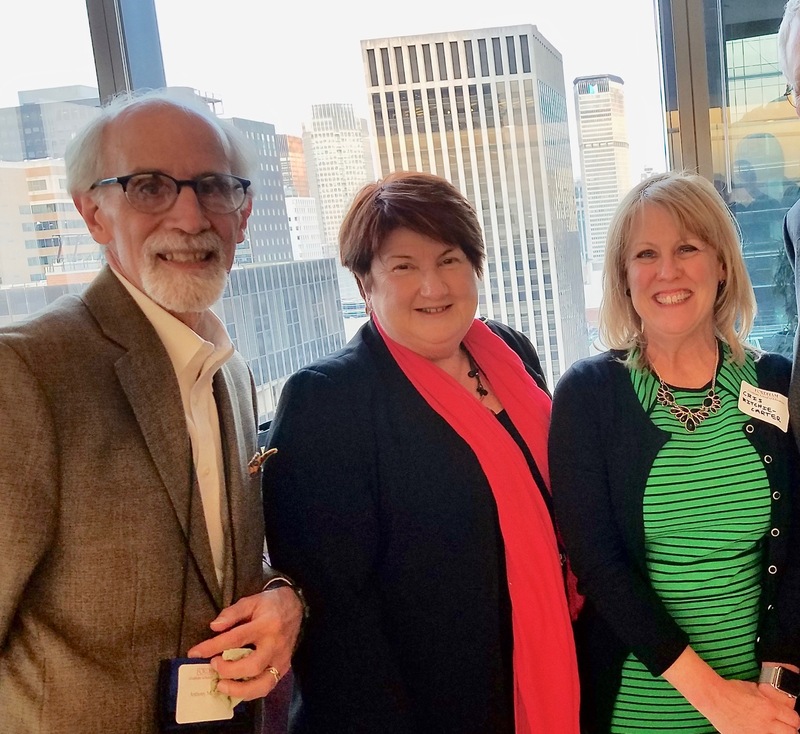 GSE Dean Virginia Roach, EdD, hosted a reception corresponding with the 2018 AERA Annual Meeting, “The Dreams, Possibilities, and Necessity of Public Education,” April 13 at the iconic Thomson Reuters Building in New York’s Times Square. In addressing the meeting’s theme, AERA President Deborah Loewenberg Ball and Annual Meeting Program Co-Chairs Carla O’Connor and Suzanne Wilson emphasized, “It [public education]has a crucial role to play in our divided world, bringing communities together to build an inclusive formation of ‘we the people’”. Fordham University and the GSE were a strong presence during the meeting, with 25 chosen presenters who delivered 37 sessions to attendees. Overall, the event created an opportunity for members of the Fordham community to connect with one another and celebrate a strong commitment to excellence and equity in education. The American Educational Research Association (AERA) is the professional organization representing educational researchers in the United States and around the world. Tuesday, April 30, 5 – 6 p.m.